If you’ve been a solereview regular, then you probably know our stand on the subject of shoes ‘meant for flat feet’. We’re vocal skeptics of brands or retailers blindly recommending a particular running shoe category simply because you have fallen arches. The ‘one size fits all’ approach is flawed, because every runner is different, and so is each shoe model – even if they are made by the same brand and from the same category. A balanced and well thought-out purchase process guides the runner through a variety of potential options after taking into consideration the shoe history, personal preferences, budget, and running conditions. The resulting shoe could or could not turn out to be from the stability category. It is also likely that a shoe from the ‘neutral’ category will work out just fine. 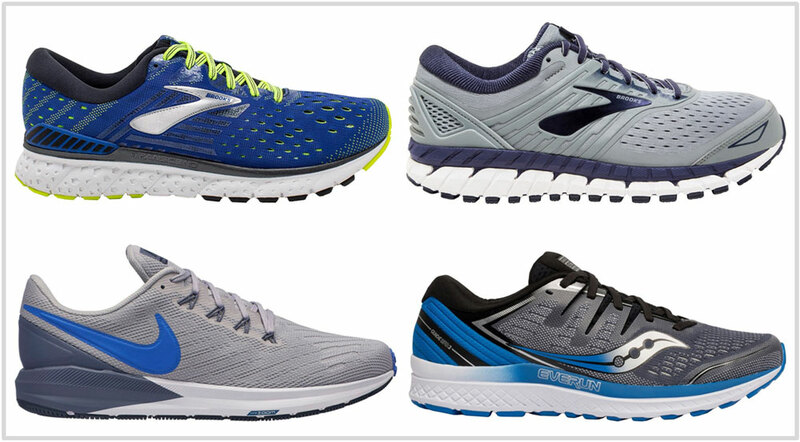 Solereview has been fortunate to have had the opportunity to interact with thousands of readers, and we’ve come to the following conclusion: flat-footed runners do not necessarily have to wear a ‘stability’ shoe. Our opinion bucks the conventional wisdom which states quite the reverse. Generally available literature implies that flat-footed runners are prone to injuries, and hence the need for specific footwear. That is wrong on so many levels because even runners with regular arch heights aren’t injury-proof – they get injured all the time. If there is a conclusive study or research ( with a large sample size and consistent methodology) which establishes the evidence that flat-footed runners are more prone to injuries than non-flat footed runners, then we’d like to read it. We also have to keep in mind that not all stability shoes are the same. The Brooks Transcend 6 works in a different way than the Nike Structure 22; the latter functions differently than an Asics Kayano 25. And so on. The stability running shoe category was created in the early 1980s when the athletic footwear industry was still in its infancy. This meant that most shoes used a primitive midsole construction which involved pasting a sheet of rubber and mesh upper to a low-quality chunk of die-cut foam. The midsole profile was also very slim, which meant at times that the rounded edges of the upper heel extended over the midsole edge. And why? Because early running shoes used a board-lasted construction – unlike the contemporary strobel lasting design which allows the upper to be seated on a much wider (and stable) midsole base. All runners pronate regardless of their arch height, and some do it more than the others. So in those days, the said rolling motion caused the inferior midsole to flatten on one (medial) side. Add to that hordes of untrained runners enthusiastically hitting the streets in the wake of the then brand new running fad, and injuries followed soon. More so, when the flattened medial midsole caused the foot to roll perilously inwards – even during the simple act of standing! This led brands to include all manners of stability devices and support systems on the inner side of the midsoles. The high incidence of injuries in that era – certainly made worse by inferior running shoe design – led to the birth of the paradigm which views ‘over-pronation’ or arch type as a cause of injury. Flat feet was assumed to be a pre-condition for excessive rolling in, hence resulting in the correlation of these two factors. In short, the entire medial post and pronation thing is a 70~80’s deal, based on a then-valid theory formed under an entirely different set of circumstances. But this is 2019, and running shoe midsoles have become highly advanced, both in overall construction and material formulation. Even regular ‘neutral’ shoes such as the Brooks Ghost 11 or the Mizuno Wave Rider 22 offer high levels of inherent stability. And most contemporary foam materials retain their structure throughout the life of the shoe. So if you have flat feet and you’re looking for a shoe to buy, what do you do? Great question. It’s pretty obvious that we aren’t going to draw up a definitive list of shoes which are ‘suitable for flat-footed runners.’ There’s no guarantee that this approach works, and anyone who tells you otherwise needs to know better. The best way to buy a new shoe is to use your existing shoe as a reference. Something which worked for you without issues, so the next shoe should ride and fit similar. Or if it didn’t, look for qualities missing in your old shoe. On the other hand, if you’re completely new to the whole running shoe game, then we recommend that you stick to true stability shoes – this also includes a few supportive neutral shoes mentioned towards the end of this article. What we’re going to do here is to recommend models based on the set of attributes you’re looking for, or have (previously) experienced in an existing shoe. For instance, a certain group of runners like a shoe which stays stable without the aggressive ‘motion control’ behavior. So that you know, a shoe with a noticeable motion-control midsole is one which halves the shoe into distinct firm and soft areas, with the medial (inner side) feeling firmer than the lateral (outer) area. Others might prefer a shoe which have these distinct firm and soft sides. Or some want a shoe which offers a noticeable sensation of under-arch support. And a small percentage of individuals want none of the medial posting business, and simply need their shoe to be cushioned and supportive. Ultimately, the best running shoe is what you’re comfortable running in, and we hope we can help point you in the right direction. This isn’t a simple list, nor is it exhaustive – because the process of buying a running shoe is a very personal one. Here goes. We’ve split the list into several categories; see which one meets your requirements the best. 1) True stability shoes with a supportive ride quality. These models feel stable/supportive in the literal sense of the word. The Nike Structure is a very familiar name in the world of stability running shoes. The ’22’ suffix tells you that this model has been around for over two decades. There’s a good reason why it has survived so long. The shoe’s very firm ride lends it excellent stability. The cushioning feedback is provided by the insole and the combination of the forefoot Zoom Air and blown rubber outsole. The partially sleeved upper fits securely, and the Structure 22 is also available in a wide and extra-wide. We wish Saucony didn’t go around slapping its ISOFIT upper on every shoe. The Guide ISO 2, as the name suggests, has the ISOFIT upper which takes some work to get right. If the fit works for you, then the rest of the shoe will give you no reason for complaint. The midsole combines a firm EVA base and a hard medial post for stability. On top, a molded insole and Everun topsole provide cushioning comfort. 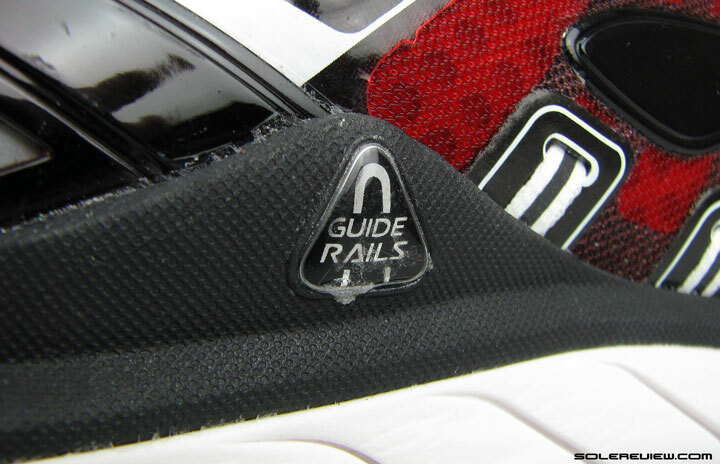 In short, the Guide ISO is a very stable yet cushioned shoe. It also retails in a wide version. If we had to rate shoe brands based on their product consistency, Mizuno comes second to none. What has worked for Mizuno for the last several years works for the Inspire 15 too. A large TPU ‘Wave’ plate infuses stability into most of their shoes; the Inspire gets a modified version which is more supportive on the inner midsole than it is on the outer side. The forefoot has a very wide flare which adds to the Inspire’s supportive road manners. There’s plenty of medium-soft cushioning provided by the blown foam insole, the midsole, and the blown rubber outsole. The upper has lots of room, making the Inspire 15 the most spacious shoe on this guide. The Vongo isn’t your average stability shoe. It creates a cushioned and supportive foundation without relying on a medial post. The split outsole and a deep transition groove keep the weight centered for smooth transitions. 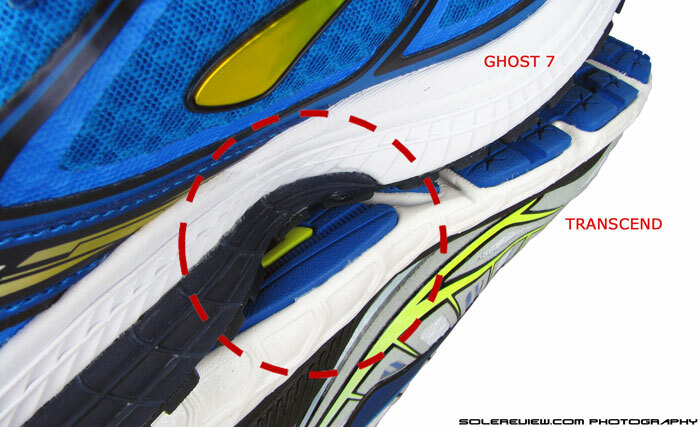 The inner midsole has raised sidewalls for increased support. The midsole has a mere 4 mm gradient from the forefoot to the heel, so make sure you gradually ease into the Vongo if you’re not used to low drop footwear. The sleeved upper with the honeycomb printing makes the interiors well-fitted and comfortable. 2) The last word in true stability. Behold few of the most supportive running shoes money can buy. Just look at this shoe. 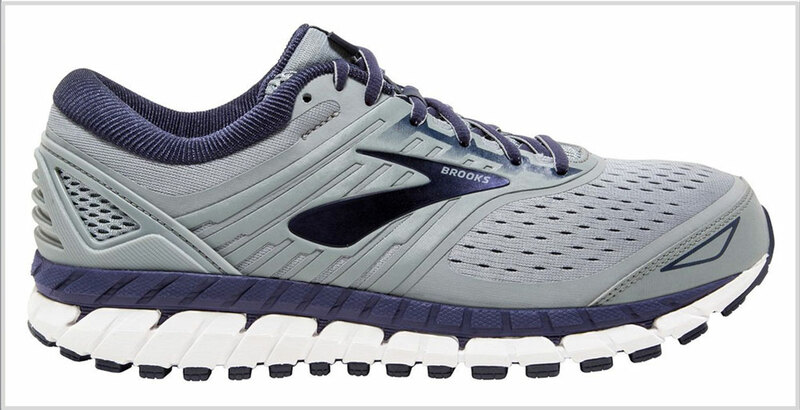 It’s obvious that Brooks’s designers were given a carte blanche to make the Beast the most stable shoe in the universe. And it is. There’re many reasons why the Beast weighs over 13 ounces. The outsole footprint is super wide and rubber is used liberally for superior grip. 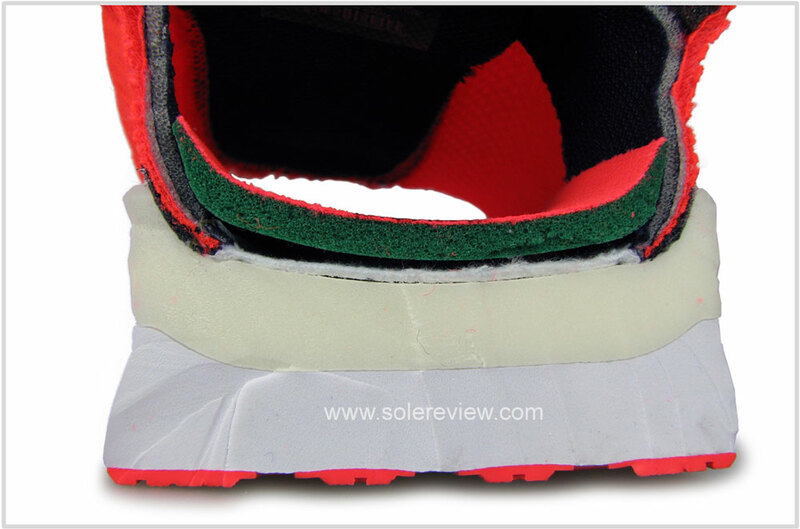 Counting the plastic stabilizer, the midsole has five different densities. Oh yes, there’s a plush insole on top of that too. There you have it – a superior blend of cushioning and titan levels of stability. Upper minimalism be damned. The Brooks upper is loaded with overlays, plush materials, a heel clip, and other what-nots. The toe-box is much wider than the earlier Beast models and the interiors are very plush. Optional are the 2E (wide) and 4E (extra wide) widths. Also see: The New Balance 1340 V3 and the Saucony Redeemer ISO 2. 3) ‘Motion control’ shoes with firmer medial (inner) and softer lateral (outer) midsole sidewalls. The hard medial post found in motion-control shoes has shrunk in size over the years. Not that it matters; foam materials have improved significantly and are inherently supportive without the need for harder wedges. The Gel-Kayano 25 comes with a small ‘Duomax’ medial post which makes the inner midsole slightly firmer than the outer side. The visi-Gel makes the lateral side softer so you get the expected bias of motion-control running shoes. The rest of the Flytefoam midsole is cushioned but in a firm way. Its upper is a mix of traditional features like a heel clip and new-age engineered mesh. The fit is comfortable and holds well – it gets the job done. 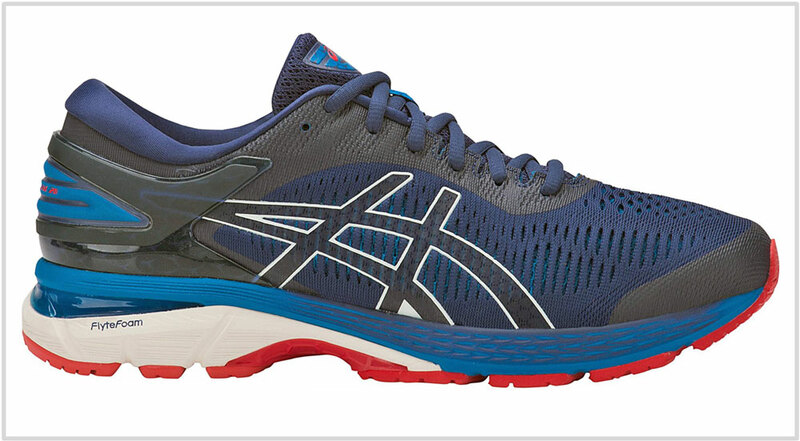 The GT 2000 is a pared-down, less luxe version of the Kayano if you will. In the sense that the upper uses less plush materials, no heel clip, and the midsole has a comparatively lower profile. As far as motion-control shoes go, the GT 2000 fits right in. The firmer medial midsole keeps that side supportive; the outer side has Gel so gait correction happens to a minor extent. 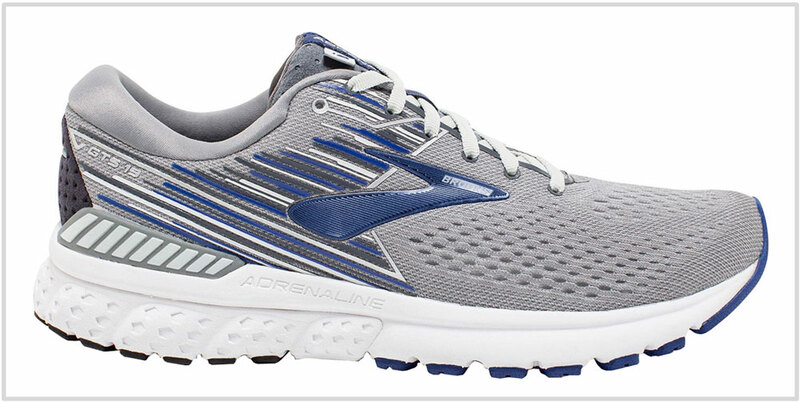 The 860V9 is an epitome of the conventional motion-control running shoe formula. There’s a large firmer medial post in a different color for everyone to see. The midfoot has a plastic shank, and the outsole has blown rubber for comfort and grip. The tri-density midsole is softer on the outer side so there’s a small degree of bias. There’s nothing remarkable about the snug-fitting upper. At the same time, there are no faults either – at least nothing which can’t be fixed with three optional widths. 4) Cushioned shoes with arch support. These models have a filled-up under-arch area or a high midsole sidewall. It’s a sign of the changing times; version 19 marks the Adrenaline’s most noteworthy transformation to date. We like what Brooks has done with this model. Instead of the old-school medial-post, a set of raised ‘Guide rails’ creates a cupping action. The way we see it, the new GTS 19 is an extension of the Transcend. In other words, take a supportive and cushioned neutral platform and then add non-conventional stability features. The standard ‘D’ upper fit is comfortable and secure. The Adrenaline comes in three optional widths. Here’s a funny observation. 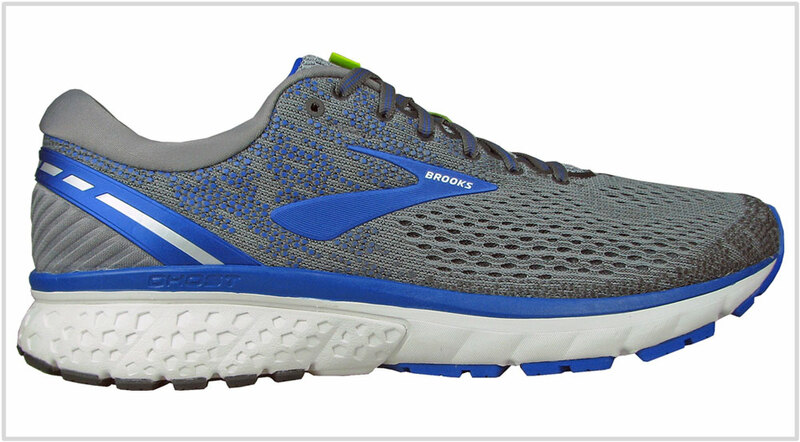 Over the past few years, some Brooks shoes are becoming a bit like the Transcend – the Adrenaline GTS 19 is a good example. On the other hand, the Transcend is evolving into a toned-down version of its past self. 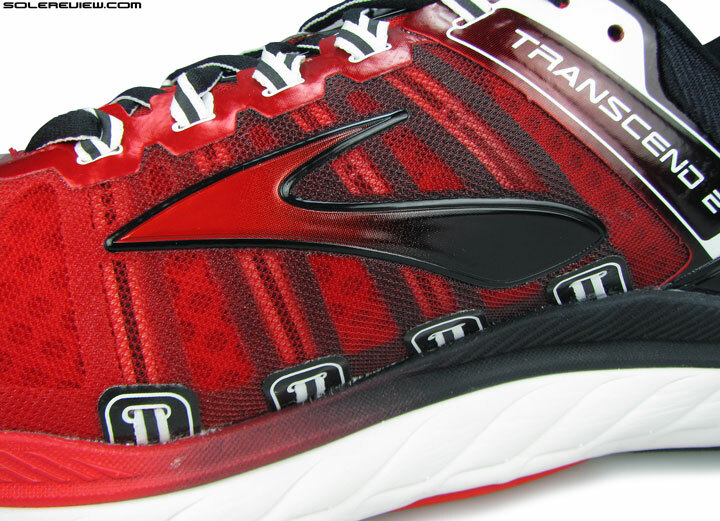 For proof, look no further than the Transcend 6. While there’s no denying that the T-6 is a very cushioned and supportive shoe, many features – such as the over-sized midsole, exaggerated midsole walls, and the trim-rich upper – have all but disappeared. In return, the upper gets a lot more room, an increased rear-foot midsole height, and an Ortholite insole. The Transcend is a great alternative if you want your running shoe to be very cushioned and very supportive. The inner midsole is also designed to maximize the sensation of under-arch support. An alternative is to consider models out of the neutral category. Many models blend cushioning and support, and are safe choices for most runners, flat-footed or not. Plenty of Brooks running shoes on this guide, eh? That’s because Brooks has always made supportive shoes regardless of the marketed category. Take the Ghost 11 for instance. It’s a neutral cushioned yet supportive shoe. There’s only a tiny amount of outer midsole bias – perhaps less so than most ‘motion-control’ stability shoes. This shoe is highly recommended if you want a cushioned trainer and don’t care for ‘stability’ design features. The Glycerin is a Ghost 11 with two extra scoops of everything. Its full-length DNA Loft midsole doesn’t have the separate crash pad – so it’s heavier and more supportive. Don’t worry about the ‘super-soft’ claims Brooks makes about the Loft – it is not mushy. There’s a lot of plushness inside the secure and somewhat short-sized upper. We featured the Inspire 15 – the Rider 22’s ‘stability’ cousin – on this guide earlier but even the Rider 22 ranks high as a supportive neutral shoe. It has a Wave plate of similar dimensions as the Inspire except for minor design differences. The ride and fit quality are what you expect of a Mizuno. The wide foam midsole and the Wave plate combine to produce a padded and stable ride. Inside the upper, the Wave Rider 22 provides plenty of room for foot splay.